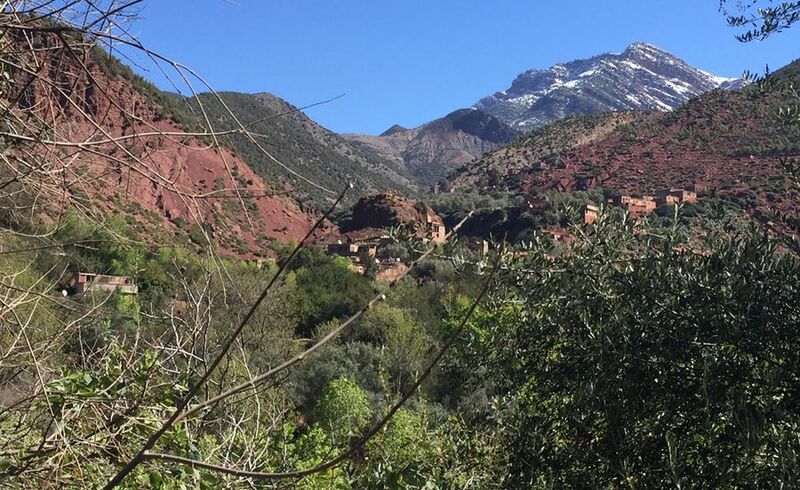 Private excursion to the Imlil valley and the Toubkal massif from Marrakech. 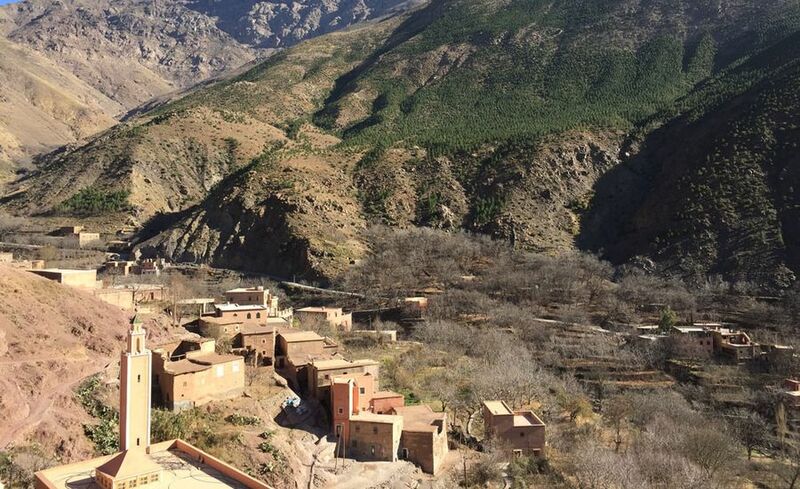 Private Day Trip To imlil valley and the toubkal From Marrakech. 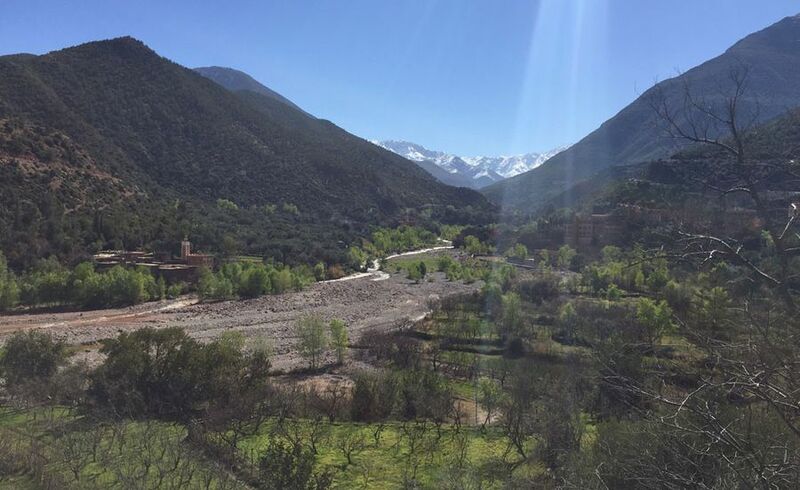 IMLIL Valley and the massif Toubkal. 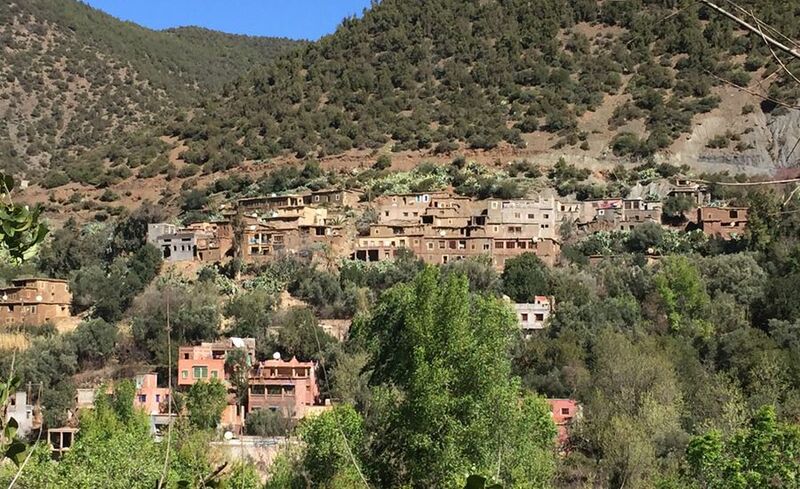 Morning departure from your Hotel/Riad at 09 am toward a charming village in the Atlas .Imlil is approximately 70 km south of Marrakech and it can be reached by road through the foothills of the High Atlas Mountains. 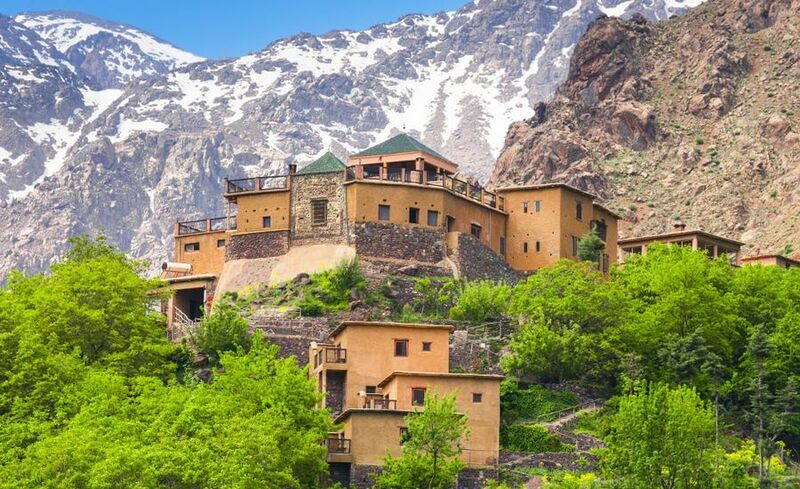 It is a good starting point for a trekking holiday or for climbing Toubkal; the highest mountain in North Africa (4167 metres). After having crossed” the Gorges of Asni”; a charming village known for its weekly Saturday Souk, the road continues along a gorgeous green valley and vast apple trees meadows. Arriving to Imlil, you will meet a local guide for the hiking trip. You will also get to enjoy a fun ride on the back of mules, and a relaxing walk through the small High Atlas Mountain village of Armed. 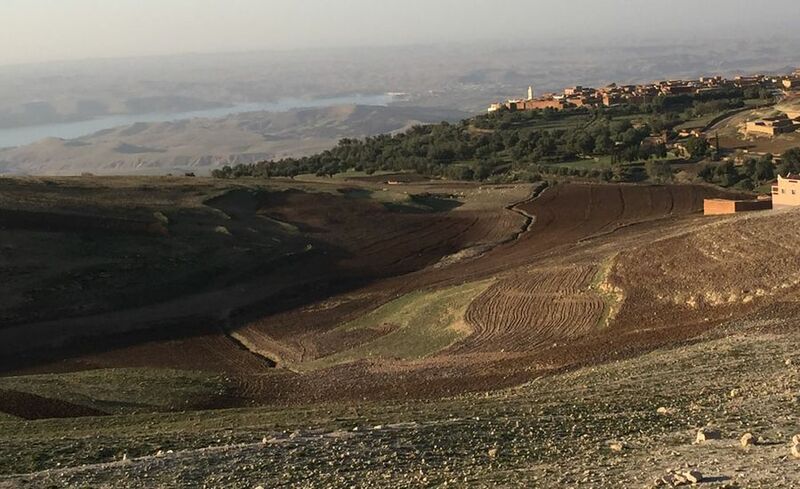 At the end of your approximately 1h30 tour in the area, you will get to savor a delicious Tajine in a lovely tradionnal Berber restaurant. It is recommended to prepare ahead necessary clothing for weather and temperatures changes.